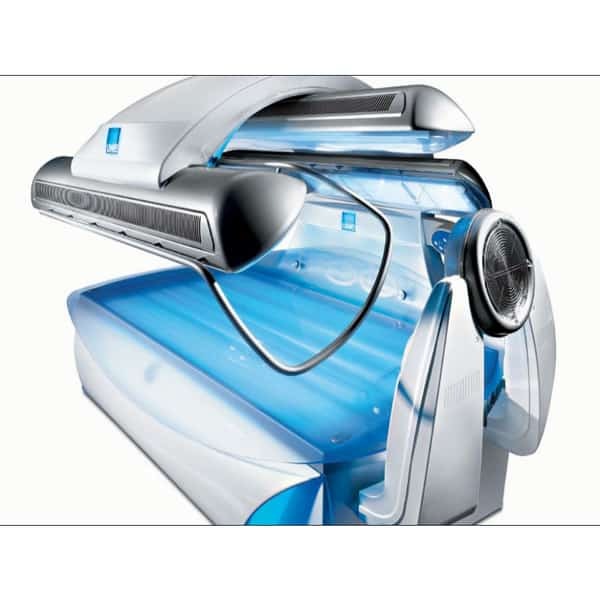 The Ultimate In Commercial Tanning Beds - There Simply is Nothing Better! 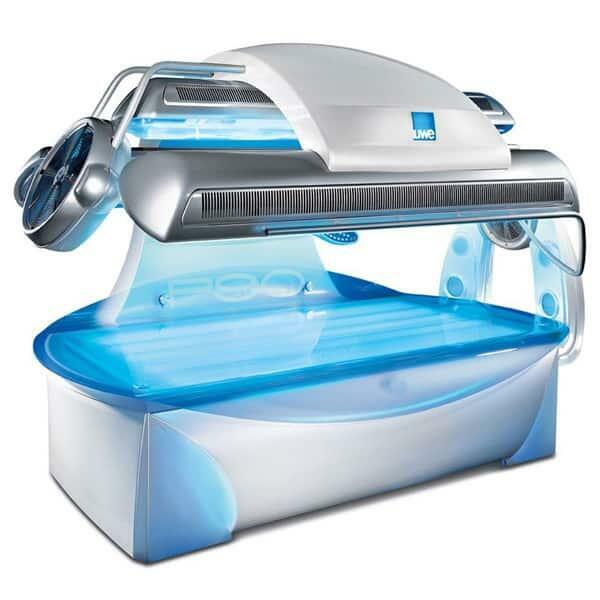 The ultimate of all tanning beds. 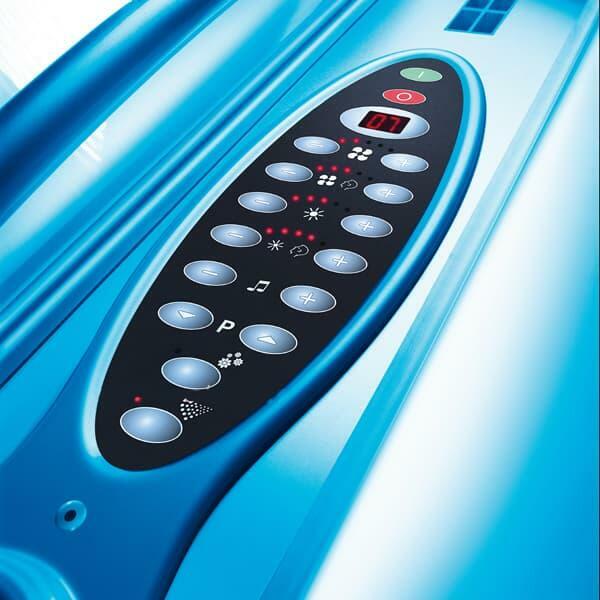 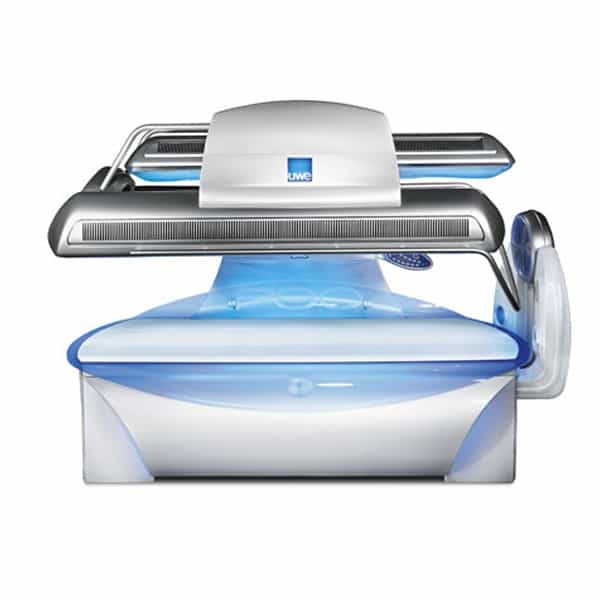 This high output top of the line tanning bed is loaded with more features and offers more tanning power than any other bed in the industry. 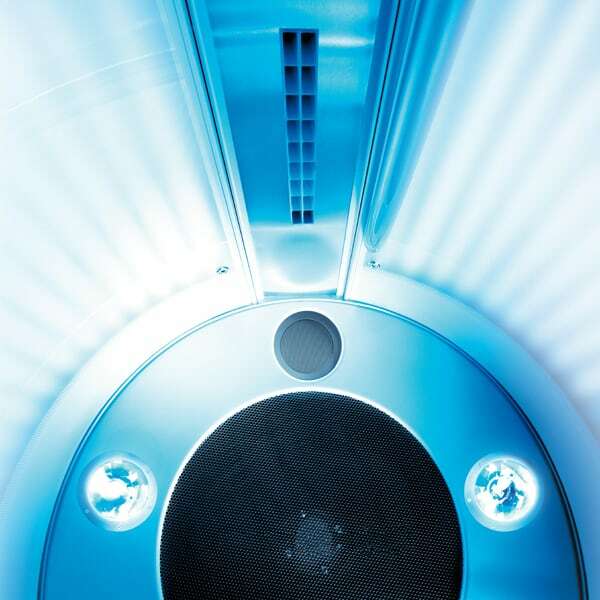 It features four different levels of facial tanning intensity to customize to your skin tone and adjusts as your tan progresses. 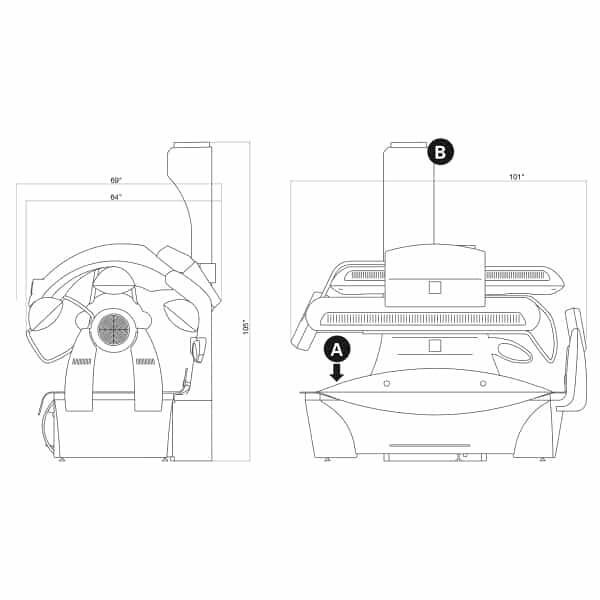 For your body, you have the luxury of three levels of power including two high pressure "Power Spot" shoulder lamps that make up a portion of the unheard of 14,400 watt total output. 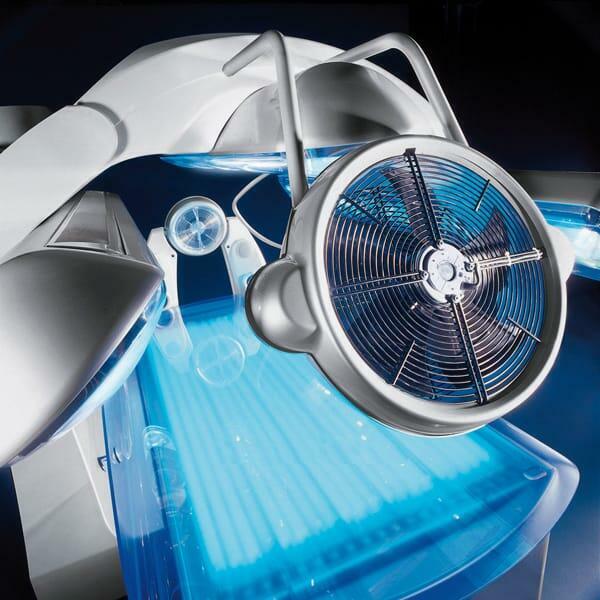 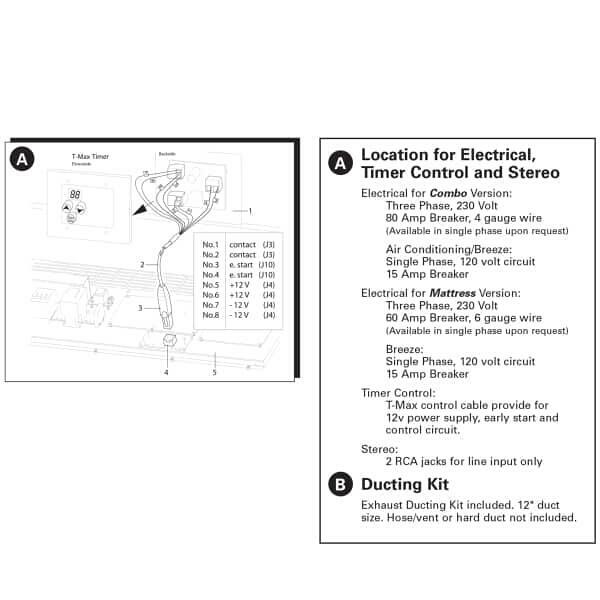 With all this tanning power surrounding you, the engineers have specifically designed misters and cooling units that that cool you as your body temperature rises, keeping you comfortable and relaxed. 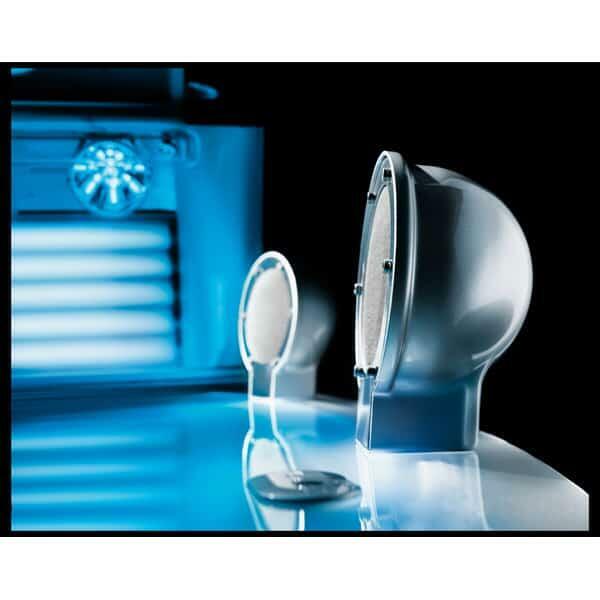 If you prefer to listen to music as you become beautifully bronzed, you will enjoy the high performance speakers with amplified surround sound. 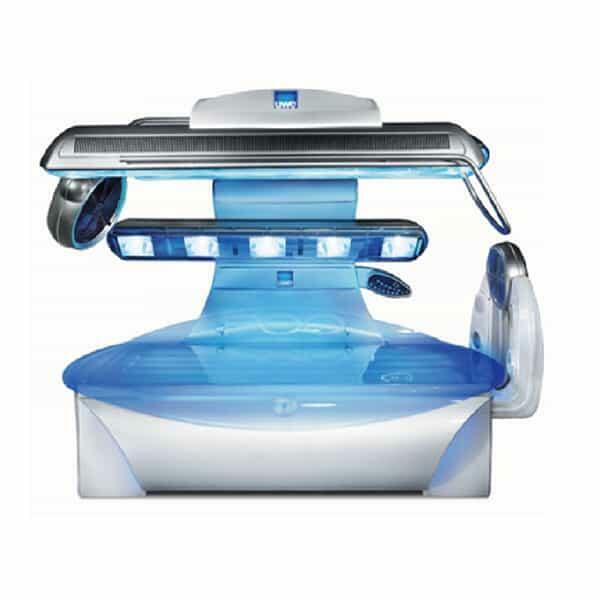 If the space age design and interior illumination haven't already amazed you, you wont be surprised that this over- the-top tanning masterpiece also has its own aroma therapy, so all of your senses can truly enjoy your 12 minutes of bliss.